These courses are entirely self-paced. You do not need to download any software or wait for future lessons. Within the 6-week session, you can access and work on any lesson 24 hours a day and work as little or as much as you like–whatever suits you best. To budget your time, plan an average of 6 hours per week in online instruction (about 1 lesson per week). This includes reading the materials, watching video lessons, completing assignments and uploading your work. Once you are registered, please report to room C122 on the first day of class at 12:00 pm, to pick up class materials and log in instructions. All correspondence is done via email. To receive a certificate of completion for the course, students must take an on-site final exam during one of our scheduled lab times or make special arrangements with the online instructor for that course. A final exam score of 80% or better is required to receive a certificate of course completion. Students who are enrolled in online computer class will take their final exam in a classroom with their teacher. Students who do not pass the final exam the first time can retake the exam on a later date for a $20 fee per additional test. Full version of Microsoft Office 2016 is required to learn the program (i.e. 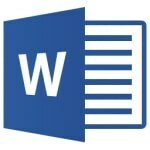 Word online requires you to have Word 2016 or higher, Excel requires Excel 2016 or higher, etc., not a starter edition). This must be installed on your computer prior to starting the class. Internet access is also required in order to successfully watch the video content and upload your completed assignments to the instructor. The online classes are based on a PC with Windows 10, not a MAC. A free download of Office 2016 365 is available to HBAS students. This online course covers beginning to intermediate Word skills for the computer user who wants to become well versed in Word 2016. Topics include the Ribbon interface, working with text, printing, using proofreading tools, creating bulleted and numbered lists, tables, forms and more. On site, in class, final exam score of 80% or better required for certificate of course completion. Prerequisite: File Management and Internet Skills. This online course provides thorough intermediate training of Word. This course covers more complex skills than those presented in our Beginning Word course. Topics introduced include newsletter columns, WordArt and Clip Art, document themes, styles, picture editing, Mail Merge, footnotes and endnotes, headers and footers, templates, tables of contents and indexes and more. On site, in class, final exam score of 80% or better required for certificate of course completion. Prerequisite: Completion of Word Beginning. 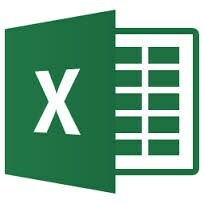 This online course teaches the fundamentals of using Excel 2016. It covers introductory skills, the Ribbon interface, inserting and deleting columns, rows and cells, entering and editing data, creating and modifying formulas, formatting worksheets, copying and moving worksheets, using charts and graphs and more. On site, in class, final exam score of 80% or better required for certificate of course completion. Move beyond the basics in this Excel Intermediate class. Learn how to move data within and between workbooks, manage large worksheets, link multiple worksheets/workbooks and use advanced formatting features. Learn to outline and consolidate data, link formulas, and format using styles, insert images and SmartArt and create and use Templates. Create and use cell names for greater understanding and ease. Learn advanced filtering options to find and organize your data. On site, in class, final exam score of 80% or better required for certificate of course completion. Prerequisite: Completion of Excel: Beginning, Basic computer experience, File Management Skills. 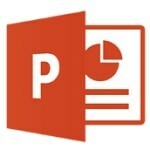 PowerPoint Beginning provides thorough training of PowerPoint introductory skills. This course will ensure you have the skill necessary to create a PowerPoint presentation. Topics include creating a basic presentation, working with document themes, delivering a slide show, working in outline view, and slide sorter, format painter, adding graphics, shapes and clipart, using slide animation and sound effects, working with slide transitions, inserting charts and SmartArt diagrams and working with external Excel spreadsheets. Prerequisite: Basic computer experience, File Management Skills. Move beyond the basics in this PowerPoint Intermediate class. Learn how to prepare, edit and print presentations, use hyperlinks in a presentation, use the slide show toolbar, add audio and video to your presentation, create slide show timings to automatically advance your presentation, add customize tables, and use Slide Masters and Action buttons. Prerequisite: Completion of PowerPoint: Beginning, Basic computer experience, File Management Skills. Tracy Foreman is a Vocational Education credentialed instructor in Computer Applications, Office Occupations and Business Management. She has a Master’s Degree in Education Administration, a Bachelor’s Degree in Business Management and has been teaching at Huntington Beach Adult School for 13 years. Tracy is recognized as an online instructor, completing the Leading Edge Certification course. She also earned the California Council for Adult Education award for Excellence in Teaching in 2008. In addition to teaching, Tracy is the current Coordinator of the Career Technical Education department.